Ironically, for books, I'm constantly shopping in the real world. Even when I know a book will be cheaper online and maybe even faster to order from Amazon, I still tend to buy books from a local shop because I enjoyed their coffee and atmosphere. My opinion? Amazon is definitely killing major retail. And there's no question some local retailers have felt the burn or even gone out of business. But small business offers a unique experience that actually buttresses nicely with online ordering. My sense is that some people shop small and local even more than they did before the rise of Amazon. (And some shop a lot less.) In some ways, the boost to small companies being able to sell on Amazon counteracts some of the "ghost town" feeling for brick-and-mortar retail. President Trump likely doesn't see that shift as a positive trend. He might only see that Jeff Bezos himself is rising higher and higher in the ranks as a tech luminary. In 2017, Bezos became the richest person in the word, with a net worth of $112 billion. That's a far cry from what Trump was raking in as a real estate mogul before he turned to politics. Bezos is also a supporter of small business. He's an entrepreneur who has funded and supported many businesses like Blue Origin and Nextdoor, plus at least two dozen more. I've never met him before, but from I understand, he is a likable person who probably has a shark-like personality--I would not be surprised if he ended up on Shark Tank someday (or a similar show)--probably quite a few years from now when someone else has taken over Amazon. With success comes envy. I can't say what Bezos is really like, but from most of the interviews I've seen, he's smart, ambitious and likable. Maybe that's the real problem people have with him...and Amazon. Whatever strategy you deploy, you can be sure that tbeing a first mover on blockchain in your industry will give you an edge over your competition. 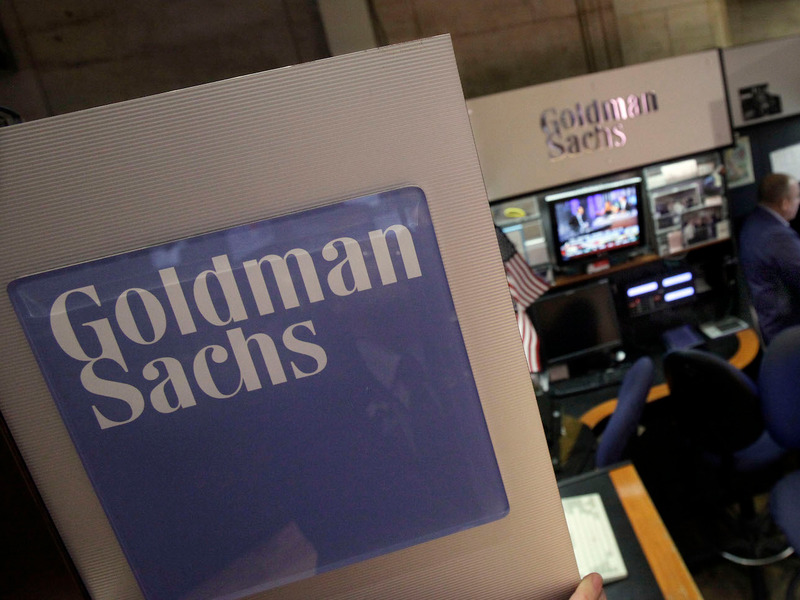 Goldman Sachs revamped its retail banking service to become "Marcus by Goldman Sachs," with online offerings for anyone to use. One element of Marcus is a high-yield savings account, with a 1.50% APY, no transaction fees, or minimum account balance. While interest rates for savings accounts have fallen, Goldman Sachs is betting on high yields for its digital program. Goldman Sachs might conjure images of men in suits making money, but now, anybody can earn extra dough through the investment bank. Marcus — named after Goldman Sachs founder Marcus Goldman — allows any adult (except in Maryland where Marcus is not yet available) to create a savings account. The big selling point for Marcus is the 1.5% APY (annual percentage yield) offered. Whereas interest rates for many banks have plummeted to as low as 0.01%, Goldman Sachs' new savings accounts create significant interest. There is also no minimum amount needed to open an account with Marcus, and a deposit of just $1 allows users to earn the 1.5% APY. Keeping with the high-growth, no-cost model, Marcus does not charge any fees on savings accounts, including for money transfers. Along with savings accounts, Marcus offers personal loans of up to $40,000 with no fees and high-yield CDs. There are some limitations to Marcus: Marcus accounts are not connected to any ATM system and no mobile app is currently available. Savers are only allowed to make six transfers or withdrawals a month. Even with its restrictions, Marcus made the list for NerdWallet's best savings accounts of 2018 and one of of MagnifyMoney's best online savings accounts. Andrew Williams is the managing director of corporate communications at Goldman Sachs. Williams told Business Insider that customers prefer Marcus because the savings accounts are a "very competitive offering, especially when looking at most other banks." In the company's 10-K, Goldman Sachs said it had $13.8 billion in Marcus deposits as of December 2017, an increase of over $3 billion in the last year. A Coast Guardsman may have to pay $31,000 to fly her dog from Japan to the United States, according to Stars and Stripes. She sent the dog to Japan on United Airlines, but United has temporarily stopped transporting pets in the cargo holds of its aircraft. The 221-pound English mastiff needs a 100-pound carrier, which makes it heavier than most airlines and transportation services allow. Coast Guardsman Jennifer McKay paid $3,200 to fly her dog from the United States to Japan in 2016. 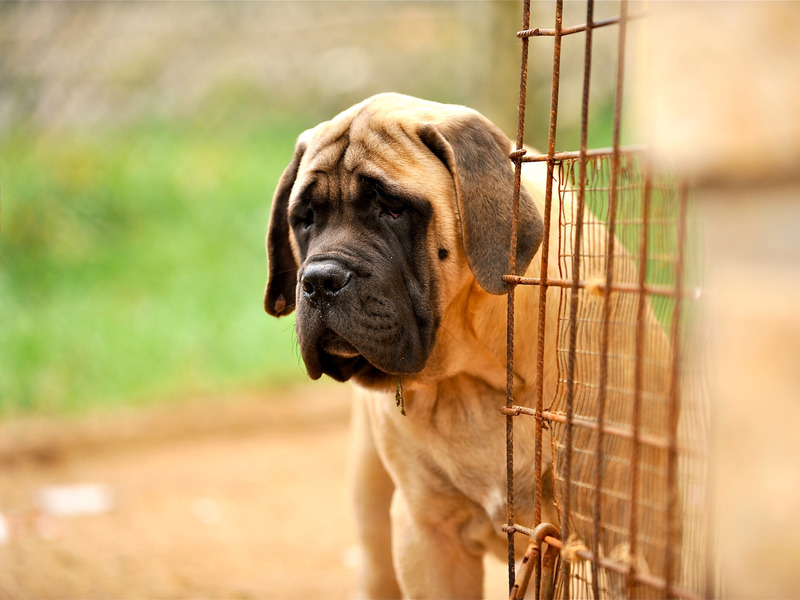 Now, McKay would have to pay $31,000 to fly the 221-pound English mastiff home, according to Stars and Stripes. That's because McKay is stationed in western Tokyo, where United Airlines was her only affordable option to transport a 221-pound dog overseas. But on March 20, United announced it would temporarily stop transporting pets in the cargo holds of its aircraft while it reviewed its PetSafe program. United expects to finish the review by May 1, but the airline was not able to provide an update on its plans once the review is complete. That leaves McKay, who would have to transport the dog in a 100-pound carrier, with few options. The dog and its carrier are too heavy for the Air Force's Air Mobility Command — which doesn't transports pets and carriers with a combined weight over 150 pounds — and most airlines, and they aren't eligible for UPS or FedEx. According to Stars and Stripes, McKay's only option to send her dog home on a direct flight is Japan's All Nippon Airways, which would charge $31,000. McKay starts a new assignment in Washington, DC, in June, so she's hoping United will reinstate the PetSafe program after its review. "I am a single-parent servicemember just trying to get home to the U.S. with my dog and my son," she told Stars and Stripes. "The alternative options to do this are financially unreasonable — but my dog is my family and I won’t leave him behind." United launched the review of its pet transport program after a series of dog-related mishaps in March which included a dog that died after being placed in an overhead bin and two that were sent to incorrect destinations. 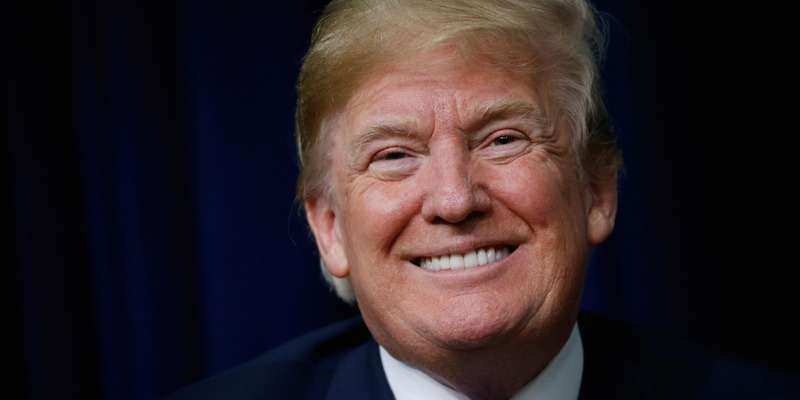 "Other administrations have gone to trading partners like China and asked for a fairer deal, only to get a cigar put out on their forehead,” Steve Chiavarone, a portfolio manager at Federated Investors, told Reuters. "I suspect Trump’s bucking of norms is absolutely part of his negotiating tactics." Reuters/Carlos BarriaDaco said Trump's constant jabs at allies could eventually provoke a more serious response. The game industry is booming, with global revenues expected to hit $125.4 billion in 2018, according to market researcher Newzoo. But if you look under the surface, not everything is great. We can see winners and losers in various markets, regions, platforms, and game categories. We’re going to explore the state of games at our upcoming GamesBeat Summit 2018 event in just 10 days, and we hope we’ll come out of it with real perspective. It’s great to see resilience across so many categories, like esports, augmented reality, virtual reality, consoles, PC games, and mobile. If any one of those sectors weakens, the other can pick up slack. Economically, that’s good for any region, whether it’s an emerging market or the U.S. But the U.S. got a dose of bad news this week from the job site Indeed.com, which applied analytics to its trove of big data on game jobs. U.S. game tester and quality assurance roles are down 36 percent since last year and down 43 percent since 2015, Indeed.com found. You can guess that those jobs are moving overseas, where wages might be a tenth of what they are in the U.S. While those aren’t high-wage jobs, they are important as the entry-level pathway into the game industry. Above: The scene at GDC 2018. And U.S. game designers, developers, and engineers aren’t faring much better, with postings for designers down 30 percent since 2015 and postings for developers and engineers dropping by 36 percent since 2015. Another set of stats shows the foreign game companies are gaining. 16 of the top 25 public game companies are outside the U.S., according to Newzoo. From a bird’s-eye view, you might find this disturbing if you’re an American game developer. But up close, with so many cool things coming from Red Dead Redemption to the Siren demo that Epic Games showed off at the recent Game Developers Conference, I’m not so worried. I have a certain faith that the U.S. game developers will figure out how to survive and thrive and lead the industry, as they always do. Fortnite and HQ Trivia were made in the U.S.A., and they’re going viral. And the GDC, which likely drew at least 25,000 people to San Francisco, seemed busier than ever. Some of the flattening of the world’s playing board is natural. Mobile has become a $50.4 billion industry, and you can make mobile games anywhere, like Helsinki (where Supercell rules mobile thanks to Clash of Clans and Clash Royale) or Shenzhen, where Tencent has come on strong with titles like Arena of Valor. The U.S. has no monopoly on mobile games, and startups in other countries are proving to be just as competitive. Most of the top mobile games of 2017 were made in other countries. I don’t want to come off as xenophobic. It’s absolutely wonderful that games are lifting the economies and peoples of distant lands. But it’s really great the the governments of those countries realize how important games have become. In the U.S., pockets of the country are thriving, like Los Angeles, Seattle, San Francisco, Austin, and San Jose. But many places are not, and the loss of a single game company can be devastating for a region. Maybe what we’re seeing happen in the U.S. is Los Angeles gaining traction over San Francisco, thanks to trends like esports and Hollywood intellectual property growth. Above: Cities with the most game job opportunities. Indeed.com found other bright spots in the U.S. The number of job postings for VR and AR have risen 93 percent since 2015. And job postings related to esports are up 18 percent since last year and up 57 percent since 2015. Jobs seekers, meanwhile, are aiming toward the hot category of esports. Searches for esports jobs are up 117 percent since last year and up 336 percent since 2015. But esports celebrities are kind of a rarity, like a one in a million job. More than 35 percent of gamers want to go pro, saying they would quit their jobs and become professional gamers if they could support themselves by doing so, according to a survey by Limelight. Drilling into the young millennial male generation (ages 18-25), 50 percent said they’d go pro. Esports has gone from the nerdy kid to the hot jock at the party. But a new survey conducted by analyst firm DFC Intelligence and commissioned by Mobcrush found that only 14 percent of gamers have livestreamed their gameplay, and among those who do, 85 percent do not make any money. Of 1,500 people surveyed, only seven made more than $1,000 a week, said DFC analyst David Cole. Is it a fool’s errand to try to make a living at esports? Or livestreaming? We’ve got a panel on the topic of the Leisure Economy at GamesBeat Summit 2018, and I sure hope that we’ll create more jobs that didn’t exist a generation ago, such as esports stars, cosplayers, streamers, YouTubers, modders, and others who get paid to play games. I know that the U.S. is always strong in media, and perhaps that will preserve the U.S. role in games in a very big way. American ingenuity is still strong, particularly among platform companies. Magic Leap has created more than a thousand jobs for its augmented reality glasses in Florida, of all places. Even if it doesn’t succeed, those jobs are keeping a lot of people busy. Facebook’s Oculus division is still trying to lead innovation in virtual reality, and you have to believe that Apple is working hard to stay in the lead in mobile games — and maybe AR too. And somewhere inside Google, Phil Harrison’s team is cooking up something new. Amazon and Microsoft are keeping game makers busy in Seattle, and even that American stalwart Atari is taking another crack at making a game console. The presence of these platform companies in the U.S., and the proximity of developers to them, is perhaps our strongest advantage. But game companies have to worry about a few new things. U.S. President Donald Trump is pointing fingers at China for engaging in unfair trade. For games, some of that has been true, and it has gotten tougher as China has become the world’s largest game market. U.S. game companies face piracy, censorship, and acquisition by companies that have much more development and financial resources in China. It has been a friendly relationship so far, but I wouldn’t call it fair. After all, a U.S. company like Blizzard can’t go into China and operate a game like World of Warcraft without first setting up a joint venture with a Chinese domestic game company. China protects its home-grown companies, and that has allowed it to foster competitors to companies such as Google and Facebook. U.S. companies can’t invest, distribute, or operate with a free hand in China. I don’t think trade wars are good for anybody, but if the U.S. is to regain its footing in games, some of these problems have to be addressed through trade policies that have largely been nonexistent to date. I’ve thrown out a bunch of numbers for this story, but I really wish we could measure this industry much better because then we’d know where the game industry is headed. But I hope you can join me at GamesBeat Summit 2018, where we’ll try to tackle some of these big questions. I’m confident the worldwide and the U.S. game industries will remain strong, and I don’t think that’s wishful thinking. GamesBeat 2018 is almost here, and we’re thrilled to announce that the fabulous Andrea Rene will be our emcee this go around! You can also catch her chatting with Janina Gavankar, from Star Wars Battlefront II, about the future of performance, games and Hollywood. Andrea Rene is the brains behind the wildly popular “What’s Good Games,” serving as producer, writer, and on-camera host. She’s been working in video games media as a host and producer for nearly a decade. As a co-founder of “What’s Good Games,” you can watch and listen to her video game commentary on the weekly show. She also co-hosts the daily video game news show “Kinda Funny Games Daily.” She was recently nominated for “Trending Gamer” at The Game Awards 2017 and has hosted for Facebook Live, VICE, IGN, Gamespot, and many more. Our speakers fit within our theme of The Future of Games: Better games, better business. If you could see the future of games before it happens, that would give your business a competitive advantage. Our event will let the hottest game developers, publishers, and investors talk with their peers and business executives about their insights into the future of games. Sponsors include: Intel, Worldpay, Appodeal, Unreal Engine, Accel, Universal, Google, Streamlabs, Yomob, Altered Ventures, Mindmaze, Consul General of Canada, Pearl Abyss, Leyou, Jam City, Scalefast, Gfycat, AppOnboard and Mobcrush. "I want to talk about the ugly," said Facebook Vice President Andrew "Boz" Bosworth in a memo dated June 18, 2016. The explosive memo, leaked this week by an insider, goes on to defend and justify Facebook's "questionable contact importing practices" and "All of the work we do to bring more communication in". Bosworth justified the use of questionable practices, citing the company's core purpose to connect people as the reason. "Anything that allows us to connect more people more often is *de facto* good," the memo read. The Vice President expressed in the memo that these connections may lead to good, including someone finding love or the prevention of a suicide, but also points out the potential bad. "Maybe it costs a life by exposing someone to bullies. Maybe someone dies in a terrorist attack coordinated on our tools," he wrote. After BuzzFeed obtained and published the scandalous memo earlier this week, Bosworth made this statement: "I don't agree with the post today and I didn't agree with it even when I wrote it." He also said that he "cares deeply how our product affects people and I take very personally the responsibility I have to make that impact positive". And of course, Mark Zuckerberg said that he and others at Facebook disagreed strongly with the memo and that it was just another of Bosworth's provocative statements. With Facebook in hot water for their dubious data collection practices the release of this internal memo certainly offers evidence that may support recent allegations. Somewhere along the line at least one executive member of the Facebook team believed that the prioritization of growth surpasses any regard for integrity. "Pushing the envelope on growth" is how the company got where it is, Bosworth claimed. Has Facebook pushed the envelope to the point of no return? Certainly, Facebook is left holding the lion's share of responsibility for questionable internal decisions and practices. However, I am personally willing to accept my share of the responsibility. Ultimately, we are the ones who provide this information to the company or companies in question. Most of us are willing to download apps and allow services to collect information about us, and we don't think twice about it. There are privacy settings and choices available to us that can limit the type and amount of data that any company can collect from us. We're quick to check the box to approve data collection for a "better online experience", but most of us do not take the time to understand what that really means. There's no excuse for the behavior that prompted the recent Facebook scandal, but it has given all of us a much-needed nudge to take responsibility for our own online footprint. If your personal privacy, and that of the people in your contact list, is important to you how much effort is it worth to protect it? 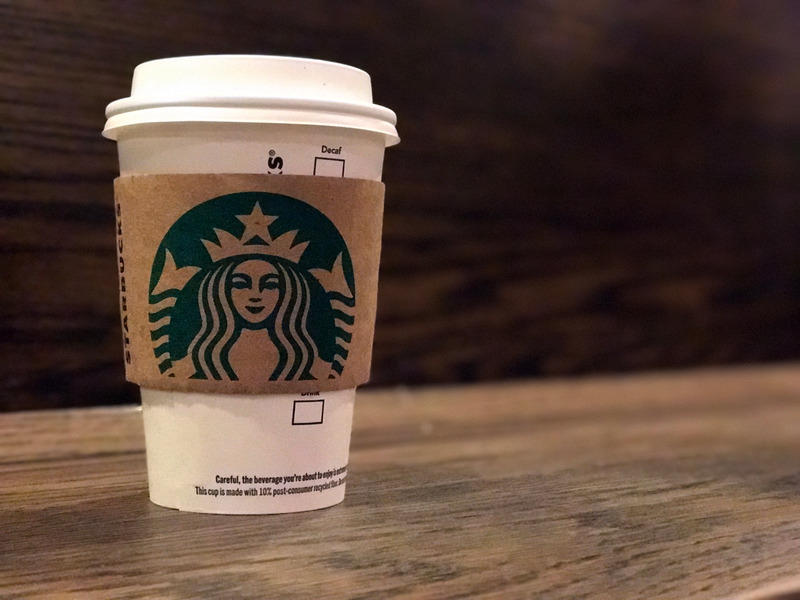 A judge has ruled that Starbucks must add cancer warnings to its coffee cups in California. A lawsuit, filed in 2010, accused coffee companies of violating state law by not warning consumers that a chemical in their products could cause cancer. Starbucks, along with other chains supported by the National Coffee Association, is considering appealing the case. Starbucks drinkers in California could expect to see cancer warnings on their coffee cups in the future. On Wednesday, a Los Angeles judge ruled in favor of a nonprofit that sued 90 coffee companies on the grounds that they have failed to comply with a state law that requires companies to warn consumers about chemicals in their products that could cause cancer, Reuters reported. The lawsuit, which was filed by The Council for Education and Research on Toxics in 2010, pointed to a chemical, acrylamide, that exists in brewed coffee beans. Studies in the past have found that acrylamide can, in large quantities, increase the risk of cancer in some animals. It's among the chemicals that California lists as "known to cause cancer." "The industry is currently considering all of its options, including potential appeals and further legal actions. Cancer warning labels on coffee would be misleading. The US government's own Dietary Guidelines state that coffee can be part of a healthy lifestyle. The World Health Organization (WHO) has said that coffee does not cause cancer. Study after study has provided evidence of the health benefits of drinking coffee, including longevity — coffee drinkers live longer." According to Reuters, some of the other defendants had already agreed to put warnings on their products and pay millions of dollars in fines before Wednesday's decision. The remaining companies, including Starbucks, McDonald's and Dunkin' Donuts, have until April 10 to file appeals. "Coffee has been shown, over and over again, to be a healthy beverage. This lawsuit has made a mockery of Prop 65, has confused consumers, and does nothing to improve public health," Bill Murray, CEO of the National Coffee Association, said in a statement on Thursday.